The Health Maker Lab at the University of Illinois’ College of Medicine is making your dream a possibility of becoming reality. The Health Make-A-Thon is a competition for makers, citizen scientists and anyone in Champaign County with ideas for improving human health. A panel of experts from the university and beyond will review submissions and choose the best. Finalists will pitch their ideas for a chance to win $10,000 in Health Maker Lab resources to create a real prototype of their idea. A handful of winners will be selected from the presenting group. 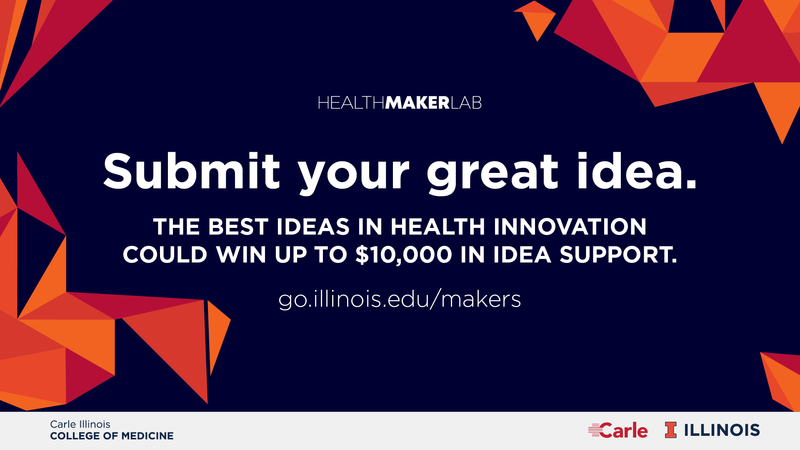 If you’re a winner, you’ll receive access to the Health Maker Lab network, $10,000 in funds, and mentorship by experts throughout the University of Illinois. Your idea will become a reality through prototyping. Need more details? Many of the answers you want are here.